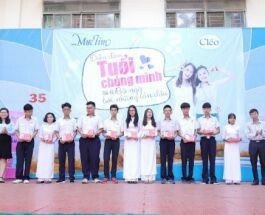 The teambuilding which was organized 3 days and 2 nights in Phan Thiet with an excited spirit helped the FBG members have a really fun and meaningful time together. On the sunny Mui Ne beach, FBG members were ready to fight for victory of the game “One team one goal”. Stay up-to-date with us and connect us with the world by sharing our latest news and events with your preferred social network. In Jan – 2018, Bigen brand has been launched officially the first TVC to build Bigen’s awareness to target audiences on TV channels such as VTV3, VTV1, HTV7, HTV9, HTV2, THVL1, … and on social & digital channels also. 1 Fair! 2 Venues! 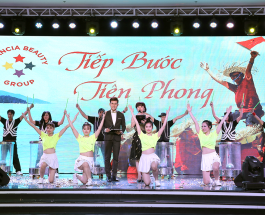 Cosmoprof Asia 2016 took place in 2 locations in Kong Kong. 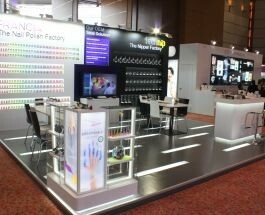 Francia Beauty Group exhibited in Hong Kong Convention and Exhibition Centre from November 16 to November 18 with new and innovative booth. But something stayed the same: new products promoted, new formulas created, new models released! 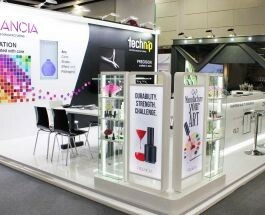 This year, Francia Cosmetics and Technip attended Cosmoprof Asia Exhibition in Hong Kong, from November 11th to November 13th. For this 20th edition, we decided to promote our OEM & ODM services and to strongly highlight our latest innovations. 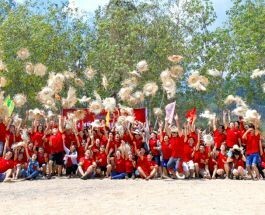 The Francia Beauty’s spirit is transmitted through 3 days experiencing real challenges in Nha Trang city. This special occasion is the stamp for over 200 staff members’ connection forwarding the common goal with the underlying value: PIONEERING – LEARNING – TEAMWORK.